Atomic Layer Deposition is a process whereby a monolayer of material is deposited on the surface of a substrate, and then additional monolayers of other materials can be applied with the process of building up many monolayers of perfect crystalline films. 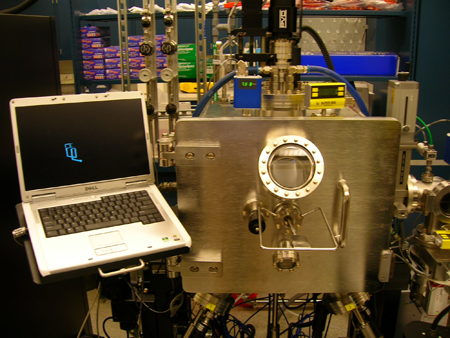 Plasma Enhanced Chemical Vapor Deposition is used to deposit thin films of oxides and nitrides. 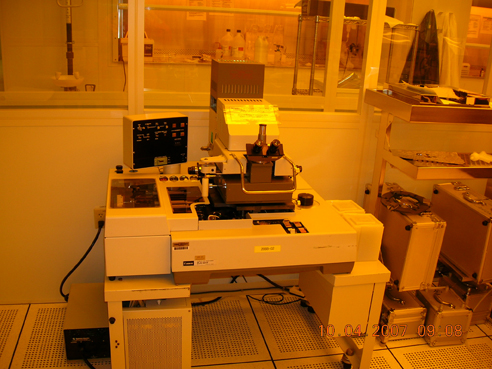 Chemical Vapor Deposition is a process of reacting a variety of gaseous compounds to form a thin film of a different compound on the surface of the device. Dielectrics, conductors, and semiconductors can be deposited in this way, depending upon the gas species used in the reaction. 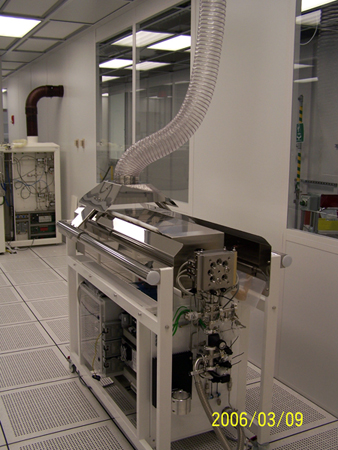 An evaporator is a vacuum chamber that sublimes (vaporizes) a source material, conductor or dielectric, into a vapor that condenses (deposits) on the substrate. 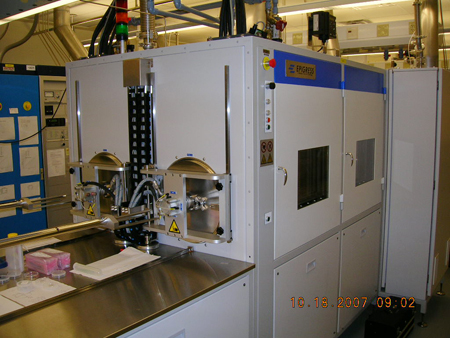 The Birck Nanotechnology Center has numerous electron-beam evaporators and a thermal evaporator for depositing these films. 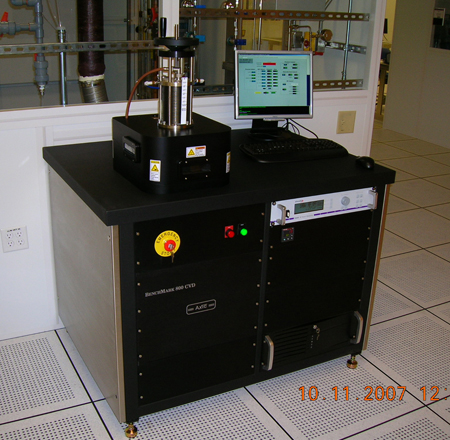 The sputtering process is another technology to deposit thin films of materials. In this process the source material is in the form of a solid, and it is bombarded with ions generated in a plasma. These ions dislodge particles of the source material which layer on the substrates. 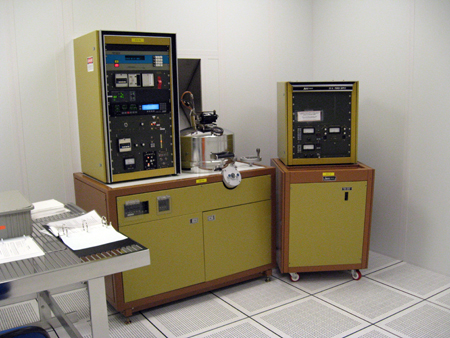 The Birck Nanotechnology Center has a variety of specialized deposition systems, including Molecular Beam Epitaxy for GaN and GaAs, and a Pulsed Laser Deposition for depositing oxide thin films.